Note the traditional Greene and Greene exposed box joints on the drawer fronts. The pins stand proud on the front of the drawers by about 1/8 of an inch. The drawer backs are installed with sliding dovetails. 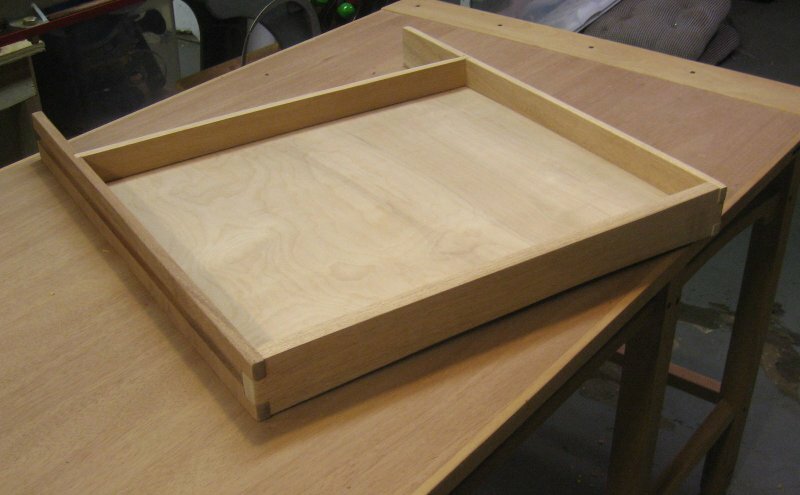 The Incra LS router table jig made the construction of the drawers fast and easy. I left the sides of the drawers long in the back so that they can be pulled out to expose the entire drawer contents without falling. I began cutting the parts for the four side drawers also, and I hope to complete them this week. Posted on August 6, 2007, in Woodworking. Bookmark the permalink. Comments Off on G&G Drawers – Two down and four to go.